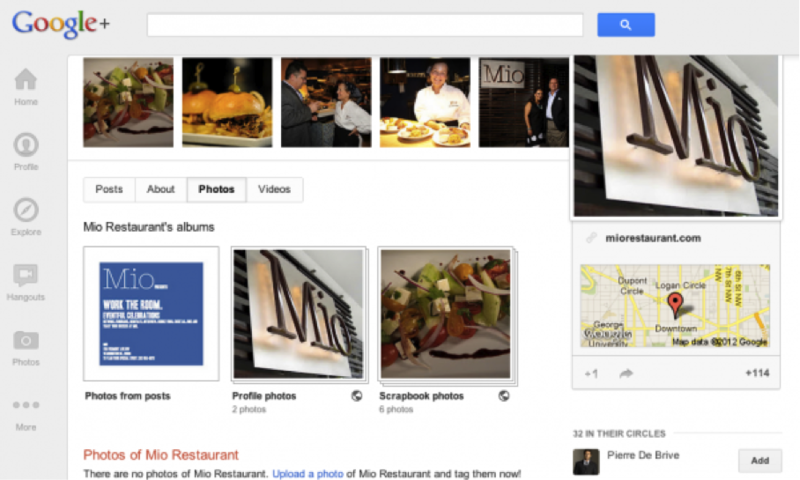 While you can still manage your Google Places page from your previous administrator access, the page information is now being cultivated and merged with your Google+ Business Page and will live in the new Google+ Local tab. You business pages will still show up in search results (and have been integrated with Maps and mobile too), but now the information that shows will be the rich content that has been written and optimized for your Google+ Business Page. This makes it even more important that you’ve taken the necessary steps to completely optimize your G+ page (if you’re unsure how to do that, read our post on optimizing G+ personal pages). There isn’t a business on the planet that can afford to not have an updated, optimized Google+ Business Page now as search results and business rankings will be shifting in the wake of Google’s 80-million-page shift. It wasn’t that long ago that having an enterprise social strategy was something you’d find in companies few and far between, but those times have changed. With every change to Google and Facebook’s growing empires, it has become necessary to delve into and understand how your company appears for, acts with and responds to customers on social media. 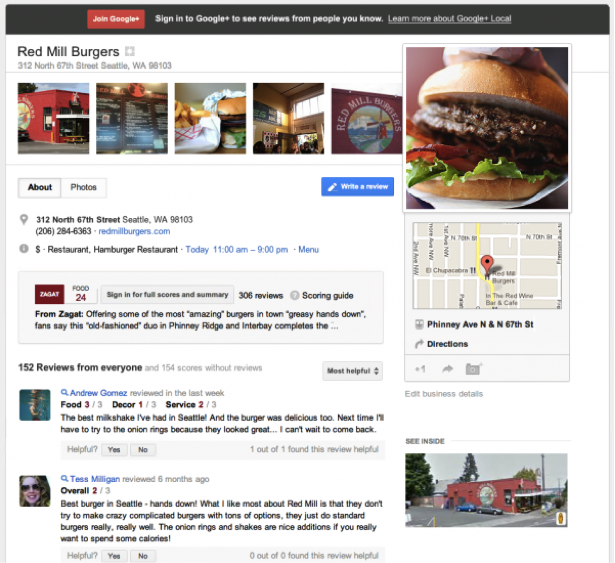 With the recent merger of Google Places and Google+ Local, customers now have the ability to interact and converse directly on Google+ Business Pages alongside leaving reviews. In the past, it was easy to keep an eye on reviews and respond when necessary, but the conversation is moving away from stagnant review slots and we are in the midst of Google realizing their vision – a completely social experience for the consumer. Because of Google’s recent changes to 80 million pages, having a clear, set and understood social media policy has just become a top priority for companies. It’s worth reminding you that unless your customers are prompted to write a review, the review they’re most likely to leave will happen after they have a bad experience. Unlike the Lowe’s Facebook fiasco last year, we hope you’ll be ready to reply with the right response. Although there are many doorways through which your customers can now find you, all the information is coming from your one G+ Profile. Users will be able to filter by location, type, Circles, ratings (Zagat-based ratings as well as reviews), and more, so having a fleshed-out and content-rich profile is critical. Google+ Business profiles allow for much more information and rich content like pictures and videos to be added and easily displayed to customers and search engines. 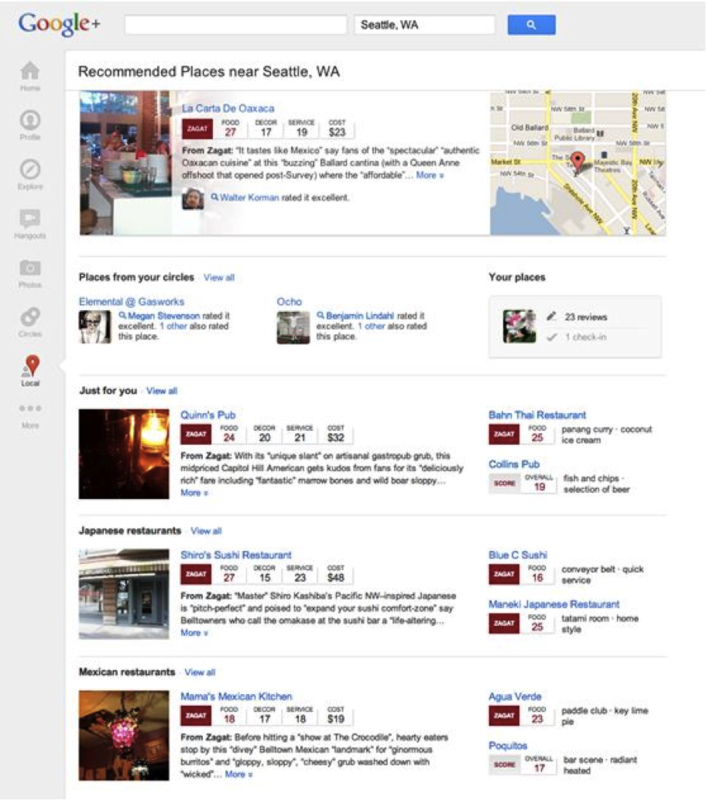 Below, see the different between the old Google Places page layout and the updated Google+ Business page layout. It’s up to you to take the time and fully optimize this page to give people searching their area the best presentation of your company as possible. One of the most exciting changes coming along with this shift for business concerned with SEO is that unlike Google Places pages, Google+ Local pages will be indexed, so all that work you’re putting into optimizing your page will pay off in your company’s search ranking positioning. Yes, there are greater demands on business-owners on learning Google+, but much is being focused for businesses while search option are expanding for customers searching you out. 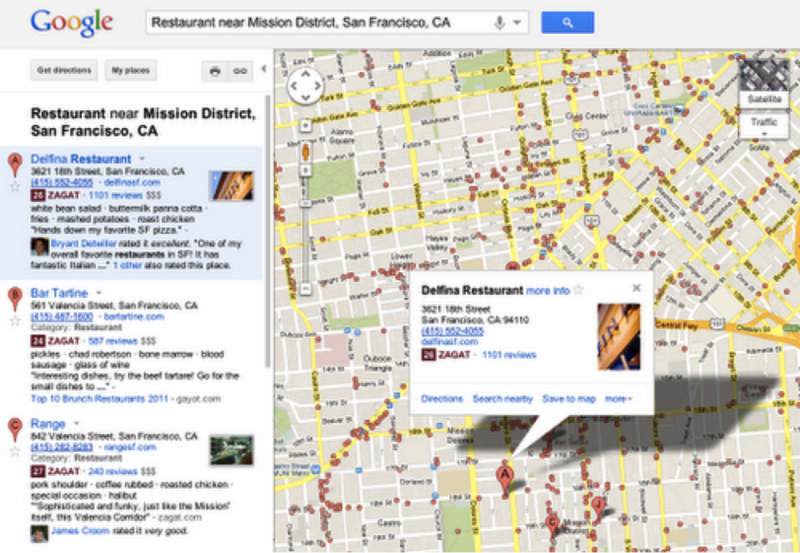 Last year Google acquired Zagat. No one was really sure how it would play out, but now we’re getting a peak into how this will solidify for businesses and consumers. 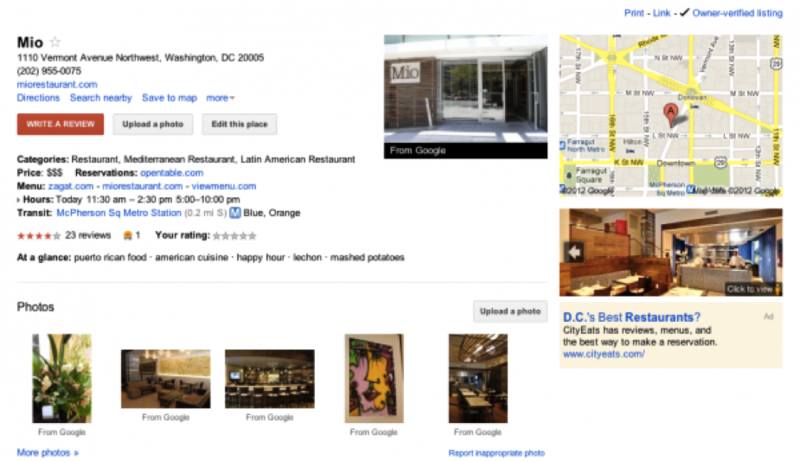 Google has done away with their 5-star review rating process and merged everything with Zagat’s 30-point score system. 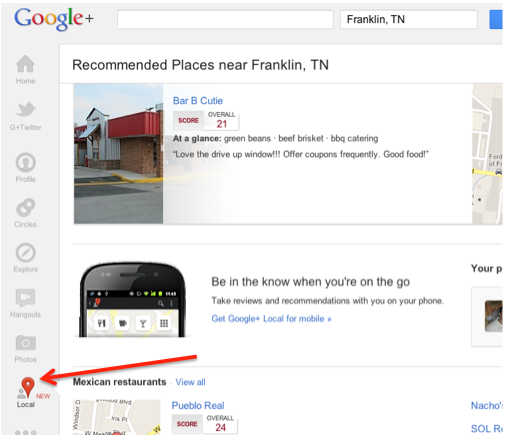 The same is true for general reviews and both will show up in search rankings for businesses on Google.com AND Google+ Local searches. While for a lot of B2B businesses this may not seem like that big a deal, with all reviews now showing up in search rankings throughout all Google services, it is even more important that you create positive experiences for clients and encourage your customers to leave positive reviews on your Google+ profile. Google has made some pretty big changes that affect a lot of businesses and pretty much all of them involve how your business shows up locally to people around you. The changes will most certainly enhance customer search and discovery experiences with a small learning curve for users. As for businesses, the changes mean a great deal more. It is now imperative that businesses pay attention to the activity and presence on Google+ and those that ignore their Google+ presence do so at their own peril. Google has been inching towards making local search more social for a while and now has taken a huge leap into that area with this merger. Social media has been playing a large part in business communications for years, but in one day, Google has effectively upped the ante and made it crucial for your business to get in the game. 3 years ago you may have been one of the guys saying “I can’t believe competitor X is wasting money on THAT…” Today, Google has created another opportunity for you to start fresh and be ahead of the curve. The question is, are you ready? If you need additional help, feel free to contact us at social@marketstrong.com.